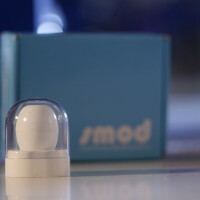 SMOD is a unique solution for cell culture monitoring with a fully sealed in-flask unit taking OD600 and temperature measurements, delivering the data by Bluetooth to your PC in the lab. No more flask removal and opening! Contact John Morris Scientific now for more information.